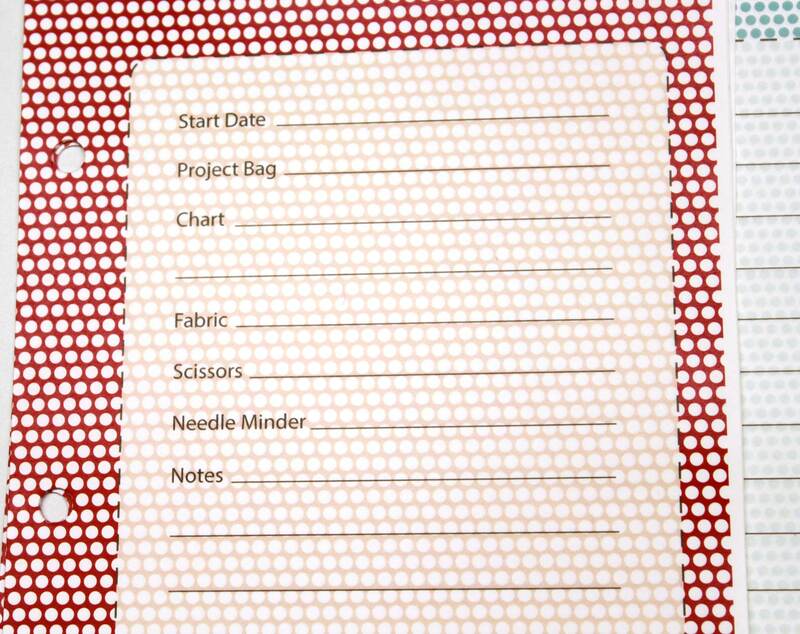 Now there is a beautiful way to keep track of all your WIP's in one place! 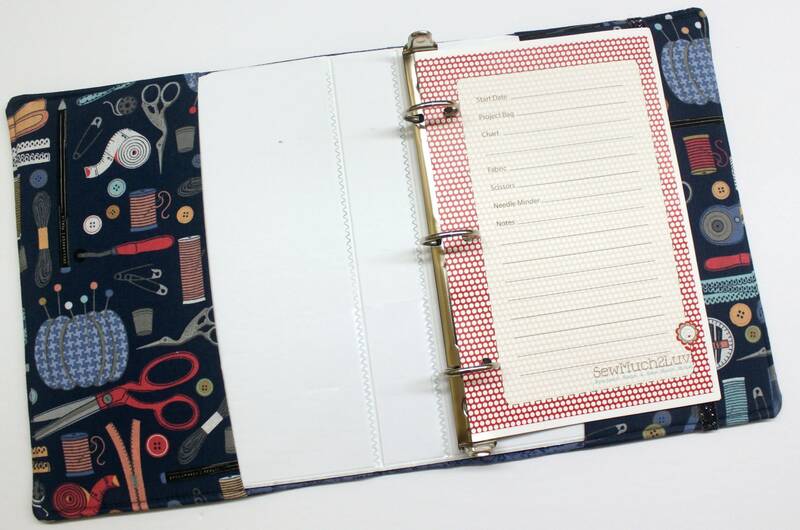 This binder cover measures 7 1/2" by 10" and holds 5 1/2" by 8 1/2" pages. 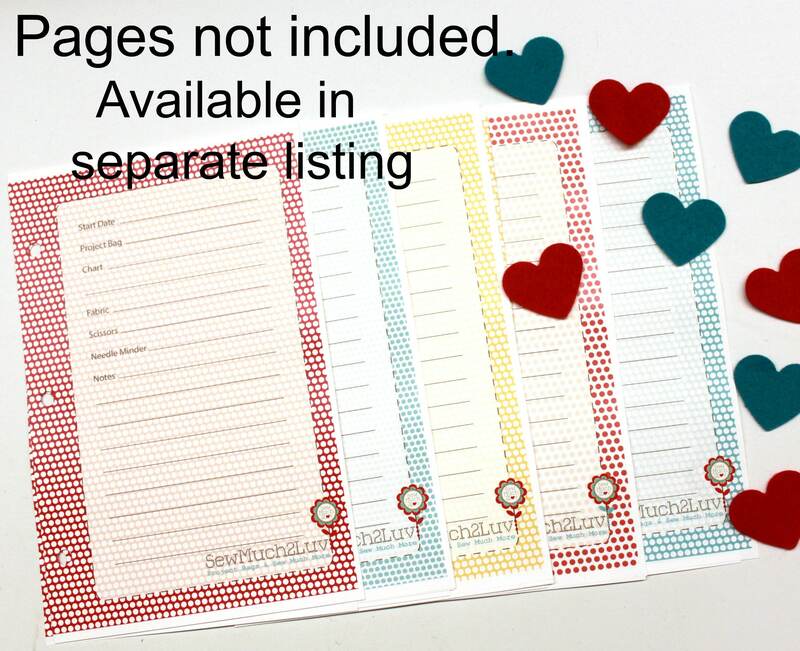 (Pages shown in photos are NOT INCLUDED but available in separate listing) The cover is lined and padded with warm and natural batting. 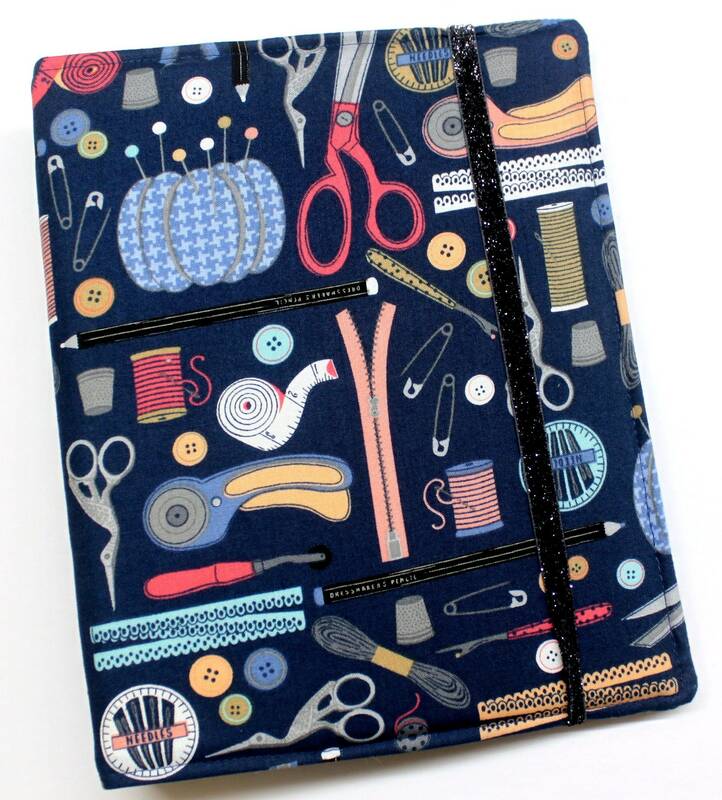 I've added a pretty elastic to keep your binder closed when you are not using it. 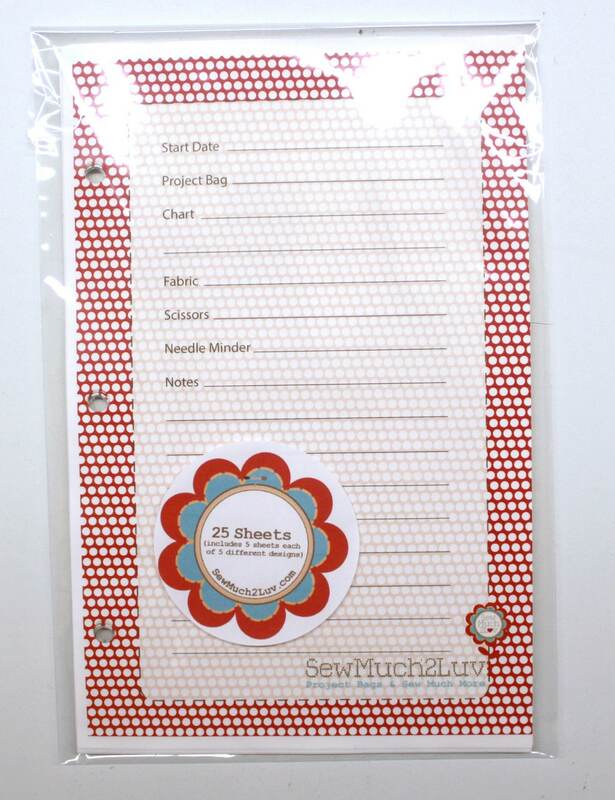 Simply write all the details of what you have in your project bags in this handy binder and you'll never forget where you left your favorite scissors or needle minder again!